The Great Sabbath. The Great Sabbath, also known as Holy Saturday, is the day following Jesus’ death. While some may wonder why it was called “the Great Sabbath” when Jesus was dead, it is obvious that death is the “final rest”, and Sabbath is the day of rest set apart by God. Thus, even on the surface, it makes sense that Holy Saturday would be considered the Great Rest. Yet, we can take it one step further. It is also the day that the disciples and Jesus’ family all stayed in hiding for fear that they would be captured and crucified. The times were tense and, while I am sure that Holy Saturday was stressful (not “restful”), they weren’t out and about doing things on that day. What’s more, though they did not realize it at the time, they were lying in wait for what would take place early the next morning. Still, while the above reasons are all insightful in some way or another, they are not ultimately what makes Holy Saturday “The Great Sabbath”. Saturday, in Judaism (sundown Friday evening to sundown Saturday evening), is Sabbath and/or the day of rest. It was also Passover, which made this particular Sabbath even more special. When we look at the accounts of Jesus in the Gospels, we will notice that while Jesus took God’s call to observe Sabbath seriously, he did not do so legalistically. Yes, he would rest when and where he could. Yes, he would go up onto a mountaintop to pray; however, he would do God’s work on the Sabbath, which often landed him in trouble with the Pharisees. 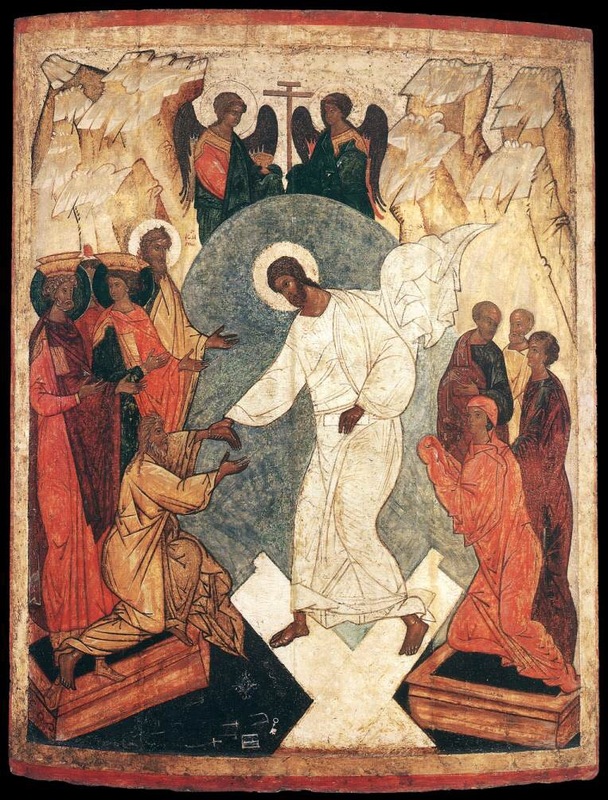 On this particular Sabbath, while Jesus’ physical body was resting in the stone cold, dark, cavernous tomb, Jesus’s spirit was in Sheol, the place of the dead, preaching the good news to them and showing them the way to salvation (1 Peter 3:19-20). Thus, in God’s great mercy, those who came before Christ and had died in their sin, Christ came and gave them a way out of their sin. This fulfilled the words of Zechariah “Because of the covenant I made with you, sealed with blood, I will free your prisoners from death in a waterless dungeon” (Zechariah‬ ‭9:11‬ ‭NLT‬‬). The “dungeon” or “pit” is, in this context, is referring to both the grave and Sheol. This passage indicates that God’s plan was to uphold the covenant made with God’s people. This, by the earliest Christians, was seen to be fulfilled in and through Jesus Christ on The Great Sabbath. While this was certainly awesome news back then, it is awesome news even to this day. While we were not literally dead, or literally in the place of the dead (aka the pit), we were once lost, and now we have been found. We were once blind, but now we see. We were once dead, but in Christ we have found TRUE and EVERLASTING LIFE! Hallelujah! Praise the LORD our God, for in Christ we conquer death (in all its aspects) and gain TRUE LIFE. Lord, thank you so much for what you have done for me. In your name, help me to storm the gates of hell and preach the good news to all who need it. Amen. Good Friday. What is so good about Friday of Holy Week? Isn’t this the day that Jesus of Nazareth was put through a mock trial, was found guilty of blasphemy by the religious leaders, sent to Pontius Pilate to be publicly tried, was found guilty of treason against Rome, was whipped, beaten, and crucified? Why in the world would we ever consider this particular Friday good? Indeed, in terms of what happened to Jesus on that Friday, it was NOT a good Friday. It was the worst of Fridays for him, for his disciples, for his family and for his friends. It was the worst of Fridays for those who put their hope in him as the Jewish messiah, the liberator of the Jews from Roman occupation. A brief note on the term messiah. The term comes from the Hebrew word מָשִׁיחַ (pronounced maw-shee’-ak), which in Greek is Χριστός (pronounced khris-tos’). This of course is the word that transliterates into Christ in English. The Jews had many different understandings of who the messiah would be, and what his role would be. With that said, the predominant understanding in Jesus’ day was that he would be a king that would rise up out of King David’s lineage, would come from Bethlehem, and would establish his kingdom and reign forever (through royal lineage). This king would overthrow the foreign occupiers, and re-establish Judah/Israel as a united sovereign kingdom. Yet, that is NOT all the Bible had to say about who this messiah would be. In Daniel, the prophet foresees a divine “one like a son of man” coming on the clouds to overthrow the oppressive world order and establish God’s Kingdom. That is what makes GOOD FRIDAY SO GOOD! Yes, Jesus suffered terribly for those who did not deserve it! Yes, it was not a good day for Jesus or his family or followers. But it WAS…AND IS…Good Friday. If this is still hard to understand, think of someone like Oscar Schindler Dietrich Bonhoeffer, who suffered tremendously (and died) in order to help Jews escape Nazi Germany and who worked tirelessly, and unsuccessfully, to bring down the Adolph Hitler. Or the suffering of Harriet Tubman and others to liberate slaves through the Underground Railroad. While their suffering was not good, it was necessary to liberate countless people. Their suffering was not good, but the moment of liberation was to celebrate! 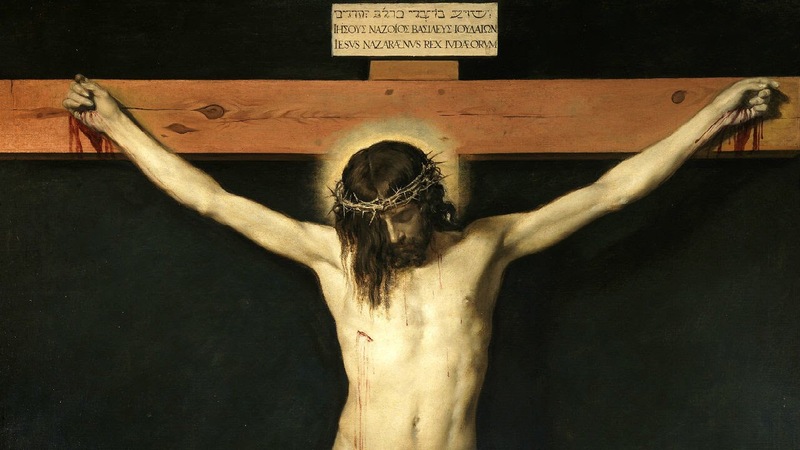 Good Friday, which marks the suffering and death of Jesus Christ, also marks the fulfillment of God’s promise to liberate humanity from its sin and separation from God. Now, through Jesus Christ, all human beings were given the blessed opportunity to be forgiven for their sins and reunited with their Creator. This is not just good news, THIS IS GREAT NEWS! We do not celebrate the torturous capital punishment of our Lord; rather, we celebrate the good news of liberation from sin, evil and death as a result of his selfless sacrifice. 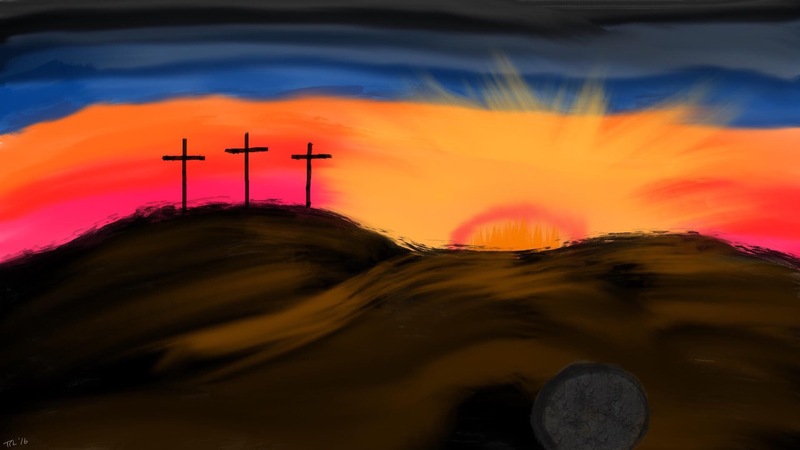 This celebration begins on Good Friday, and culminates on Easter Sunday, when we are given the assurance that in Jesus Christ, sin and death ARE NO MORE! There is no Easter Sunday without Good Friday. There can be no resurrection without death. Lord, help me to die to my sins and liberate me from my old self. Redeem me and recreate me so that I may fully live into your image in which I was created. Amen. Spy Wednesday. In Zechariah, we see the prophet giving up on his office as prophet. He had been embattled serving the people of God. They were divided over who should be high priest, many hardened their hearts toward God, and Zechariah felt that the time had come for him to simply let them have their own sinful way. This was not done because Zechariah was a quitter, but because God had given them the choice between their ways or God’s way, and they had clearly chosen. Thus, the Lord God was speaking through Zechariah, when he said that he would remove the good shepherd and replace him with a useless, lazy, selfish one (Zechariah 11:16-17). As a result of their hardened hearts, they ended up following the prophets and leaders of this world, to their own demise. Thus, Zechariah requested, “‘If you like, give me my wages, whatever I am worth; but only if you want to.’ So they counted out for my wages thirty pieces of silver” (vs. 12). Continuing on, Zechariah declared, “And the LORD said to me, ‘Throw it to the potter’—this magnificent sum at which they valued me! So I took the thirty coins and threw them to the potter in the Temple of the LORD (vs. 13). Yet, Zechariah’s situation aside, this particular verse was foreshadowing what was to happen to Jesus of Nazareth through one of his closest friends and disciples, Judas Iscariot. It was on what has become known as “Spy Wednesday”, that Judas met with the high priest and the Pharisees to plot against Jesus. Judas agreed to betray his Lord and master in exchange for none other than thirty pieces of silver. Thus, Judas became like a spy. He became a wolf among the sheep and waited for the right moment to betray Jesus and have him arrested. This, of course, was directly following Jesus’ revealing to his disciples that he was going to be “handed over to be crucified.” It was also following Jesus scolding his disciples for their chastizement of the woman who anointed his feet. In Matthew, it is written that the disciples became indignant because such expensive perfume could have been sold and given to the poor. Jesus put the disciples back in their place and praised the woman for her compassion toward him. The question that puzzles many is this, why would Judas betray Jesus for 30 pieces of silver (about $600 in U.S. currency…a handsome amount in the ancient world)? Maybe it was because, as Jesus continued to press and antagonize the religious and political leaders in Jerusalem, Judas feared that they would all go down with Jesus. Maybe, for Judas, Jesus wasn’t doing enough against the Romans and he was among those who wanted to see a physical, bloody revolt. Maybe Judas, along with some of the other disciples, were indignant toward Jesus for the woman anointing him, or maybe for other reasons. There is, of course, the possibility that Judas was always a snake in the grass, was greedy, and looking for any opportunity to find a way to betray Jesus and gain money and status for doing so. We can only speculate Judas’ motivations; however, we do know that the Judas regretted his decision so much that he took his own life. The blood money he was paid went to pay for a field, fulfilling the words of Zechariah in a new and most sorrowful way. The challenge for us is to look inward on this Spy Wednesday! Are our intentions pure? Do we follow Jesus for the sake of following the Lord, our Savior? Do we follow Jesus for the glory of God and for the Kingdom of God? Or do we have alterior motives for following Christ? Do we seek out God’s agenda, or are we secretly trying to find ways of working in our own? Are we sheep in Christ’s fold, are are we wolves that have found our way in? Are we Christ’s own, or have we become snakes in the grass? These questions are not comfortable ones; however, they are important to ask. I think that we can find moments in our lives where we are truly aligned with Christ, and others where we are not. Let us be honest this Holy Week and pray for God to remove the inner-Judas that exists within all of us. We have two choices in love, faithfulness and betrayal. Lord, forgive me for the times I have betrayed in you in my thoughts, in my words, and in my deeds. Guide me toward a life of faithfulness. Amen. “Then Jesus asked them, ‘Didn’t you ever read this in the Scriptures? The stone that the builders rejected has now become the cornerstone. This is the LORD’s doing, and it is wonderful to see‘” (Matthew 21:42; cf. Psalm 118:22-23). Holy Monday. On Monday morning, following Jesus’ triumphal entry into Jerusalem and his cleansing of the Temple, Jesus begins his journey back into Jerusalem. In the evenings, during Holy Week, Jesus and his disciples did not stay within the city, but stayed in the village of Bethany (presumably with his friends Lazarus, Martha and Mary). Bethany is a mere mile and a half to the east of Jerusalem. Holy Monday, though most people don’t really pay it much mind, was going to be busy day for Jesus. He was further going to push the religious leaders (the Sadducees/priests and the Pharisees/teachers of religious law), the Herodians and all those who had lost their way from God. On his way into the city, Jesus discovered a fig tree that had leaves, but did not bear fruit. Fig trees in that region, evidently, begin to bear fruit before they begin to sprout leaves. With that said, it was not the season for figs to be growing on the tree. When Jesus saw the tree he cursed it for not bearing fruit. The disciples noticed that the fig had withered immediately upon Jesus cursing it. This action was symbolic of the religious and political leadership (of which the ancient world did not separate) in Jerusalem. They all had leaves so to speak. They looked the part and acted the part, but they were bearing absolutely no fruit. In fact, worse than that, they were bearing all of the WRONG fruit. Jesus’ action of cursing the tree was also a message to his disciples. The time for fruitlessness had passed, the time for God’s Kingdom had come. There was much work to be done. Bear fruit. Little did they know at the time, but the risen and ascended Jesus would send an outpouring of the Holy Spirit on them at Pentecost to help them accomplish just that. In Jeremiah, the prophet scolded the King Jehoiakim of Judah when he proclaimed for the LORD, “’But a beautiful cedar palace does not make a great king! Your father, Josiah, also had plenty to eat and drink. But he was just and right in all his dealings. That is why God blessed him. He gave justice and help to the poor and needy, and everything went well for him. Isn’t that what it means to know Me?’ says the LORD. ‘But you! You have eyes only for greed and dishonesty! You murder the innocent, oppress the poor, and reign ruthlessly’” (Jeremiah 22:15-17 NLT). Jesus not only carried on the prophetic tradition of holding the leaders accountable; rather, he was the fulfillment of the visions of the prophets who proceeded him. Christ’s coming was both a judgment on the world order, and a way to salvation for all who chose to heed God and follow God’s only son, who was himself was the incarnation of God. Immanuel. On that Holy Monday nearly 2,000 years ago, Jesus held the leaders accountable. He pointed them to their hypocrisy and pronounced that their rejection of him was their rejection of God. As a result of their choosing to reject the cornerstone of God’s kingdom, Jesus Christ, God’s Holy Spirit had passed them by and left them desolate, just like the fig tree. The time has come to bear fruit. The church is now in the same position of the leaders in Jesus’ day. We have a choice to accept Christ’s call on our lives and to bear fruit, or to continue on in complacency and ignore the very cornerstone of the Kingdom God is building. If we do the latter, the Holy Spirit will move on to those who will open their hearts to the presence and working of God. Let us not end up like the fig tree. Let us, rather, through the power of the Holy Spirit, witness to the fulfillment of God’s covenant and the coming of God’s Kingdom through Jesus Christ. The tree that produces little to no fruit is a dying tree. Lord, prune the dead branches in my life so that I may continue to produce vibrant, hearty fruit for your Kingdom. Amen.